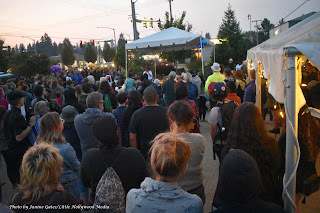 A blog about the local news and events of and around Olympia, Washington. Just click on Comments under the article, and a comment box will pop up. Write your message. Then go down to the little box under that, scroll down and click on Name/Url and type in your name. Click post. Then I will receive it and moderate it and send it along to be published. That's it! Independent journalism takes time. If you like what you're reading, please consider a donation! Checks are also accepted and can be made out to Little Hollywood and mailed to Janine Gates/Little Hollywood Media, P.O. Box 7418, Olympia, WA 98507. Thank you! People ask me all the time about the name of my blog, Little Hollywood. Little Hollywood was the name of the shantytown down along the shores of what is now Capitol Lake, a place where some lively characters of Olympia lived. It was our "Hooverville" from the 1920s through the early 1950s. Well, as we know, our area has a lot of interesting, talented, educated characters, and the point of this blog is to help shine the light on some of our "stars" that might not ordinarily be heard through corporate media outlets. So, the name has a double meaning. And since it's my blog, it's Janine's Little Hollywood. Enjoy! Thank you for visiting my blog! As a photographer, I also have a website, http://www.littlehollywoodphotography.com. I love Olympia and meet a lot of people who tell me great stories. I love to learn, and hope this blog of local news will be just another source of information for you. Please don't be shy to leave comments. I have set it up so the comments are private first, until I publish them, so if you don't want your comment published, just tell me so. And oh yeah, I'd appreciate it if corporate media or other news outlets did not steal my stories. Please ask if you'd like to reprint my story in your publication or at least give credit where credit is due if you read it here first. Associated Press standards consider blogs a legitimate news source and should be treated as such. Thank you! 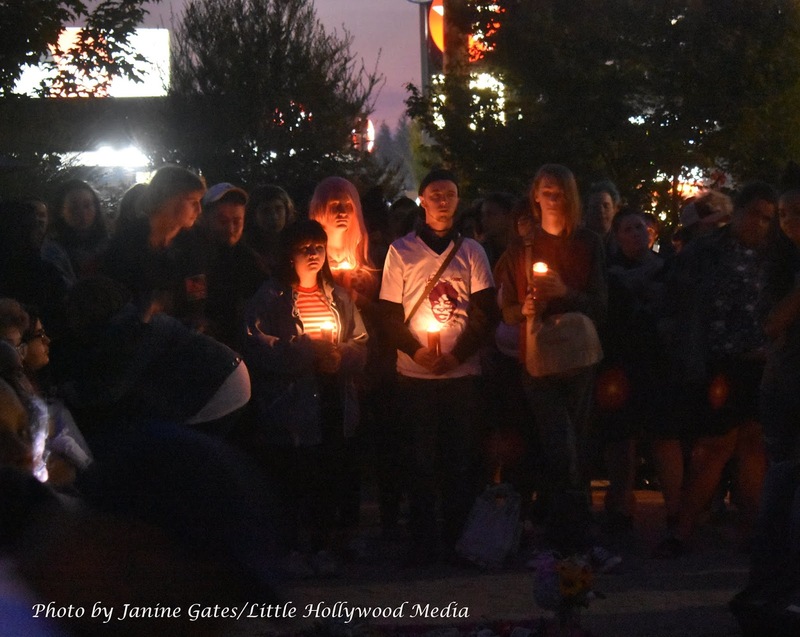 Above: Family and friends of Yvonne McDonald gathered with hundreds of community members at West Central Park in Olympia Thursday night. McDonald died amid suspicious circumstances on August 7. Above: Hundreds of community members gathered to support the family of Yvonne McDonald on Thursday night in Olympia. Bohmer said she was an independent thinker, an outstanding student, and the most outspoken in class. He said one of her favorite books was The People’s History of the United States by Howard Zinn. 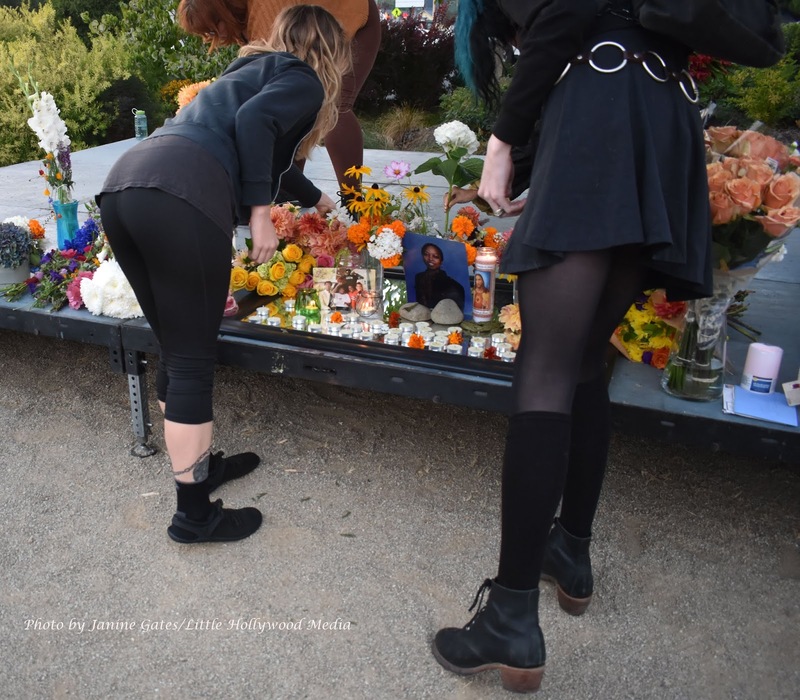 In a written statement issued earlier this week, Olympia Police Department Chief Ronnie Roberts said the death of McDonald has raised many concerns and questions in the community. Above: A vigil for Yvonne McDonald of Olympia was held Thursday night in Olympia.